Often times when patients are injured during treatment at a hospital, they only think that they can file a lawsuit against the treating physician. In most cases they can file a medical malpractice lawsuit against both the physician and the hospital. 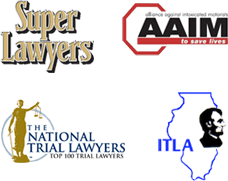 An experienced Chicago medical malpractice lawyer understands, when a patient is injured receiving care or treatment in a hospital, a lawsuit can be filed against the hospital for negligence or medical malpractice. Hospitals are responsible for incompetent care provided by health care employees such as nurses, pharmacists, radiology technicians, laboratory technicians and other medical technicians. The hospital is responsible for its employees. If the employee injures a patient by acting negligently, the hospital is responsible or liable for that action. If a hospital employee is negligent or incompetent, the hospital is liable for the injuries. Hospitals may not be responsible for a physician's medical malpractice. Many physicians are not considered employees of the hospital. If a physician is negligent while treating a patient in the hospital, the hospital may not be liable for the doctor's error, unless the physician is an employee of the hospital or acting as its agent. Determining whether a physician is a hospital employee depends on his or her relationship with the hospital and how they hold themselves out to the patient. Non-employee physicians are known as independent contractors. Under some cases, a hospital could be held liable for medical malpractice committed by an independent contractor. The hospital must disclose or make it known to a patient that the doctor is not an employee. If it fails to do so, then the patient can sue the hospital for the doctor's malpractice. Many hospitals will include this information in the consent to treat form. A hospital may be liable or responsible for a physician's malpractice if it grants staff privileges to an incompetent physician, even if the doctor is an independent contractor.